The eye-catching pink-handled Native 5 Lightweight offers the same high-performance reliability as our standard Native 5 Lightweight, but with the added benefit of a vibrant pink handle. 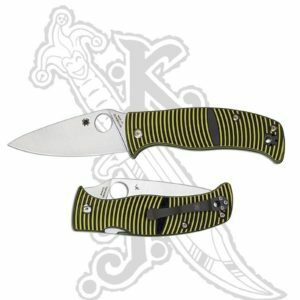 Its PlainEdge blade is full-flat ground from premium CPM S30V stainless steel. 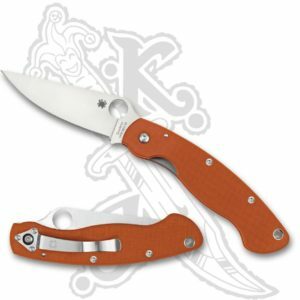 The blade’s Trademark Round Hole™ allows convenient one-handed opening and is supported by a highly refined back lock mechanism that offers outstanding strength and ease of use. The Native 5 Lightweight’s bright pink handle is injection molded from durable fiberglass-reinforced nylon (FRN) and features Bi-Directional Texturing for a secure grip. 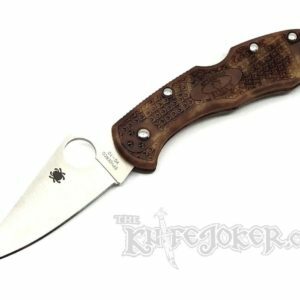 It’s also home to a four-position pocket clip that supports all possible carry positions and makes both carry and operation of the knife completely ambidextrous. 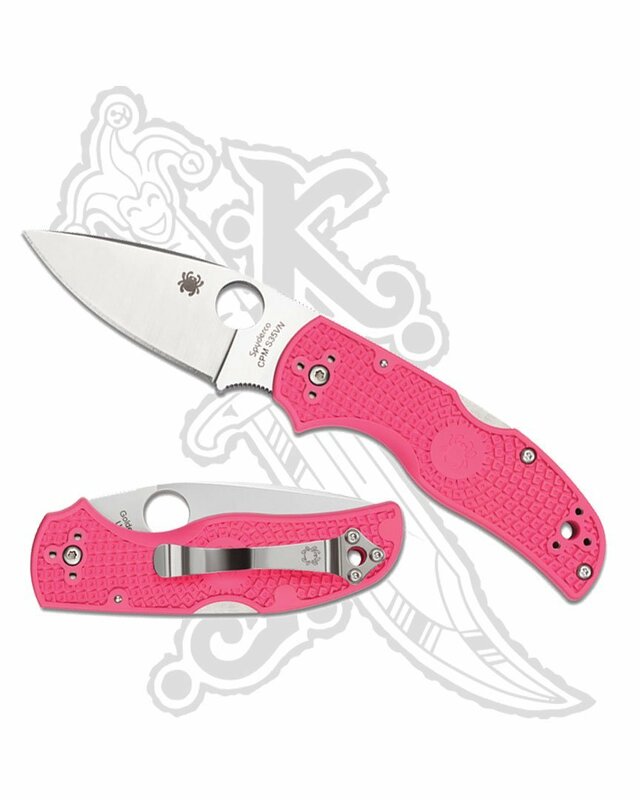 Spyderco’s pink-handled knives are much more than a novelty or a feminine fashion statement. These brightly colored versions of some of our most popular lightweight models also provide a constant reminder of the brave women currently battling all forms of cancer and help support them in that fight. Spyderco is very proud to support Guardians of the Ribbon/Pink Heals Tour and the “Cares Enough to Wear Pink” programs by donating a portion of the sales of our pink-handled knives to this amazing organization. To learn more about its extraordinary programs and other ways you can help support their efforts, please visit www.pinkfiretrucks.org. Sprint Run!! Limited quantities are available!